This is a very exciting week here at our College. Then again its always exciting, always something new to look forward to at IPSA Alhamdulilaah! IPSA students are on the move this semester! Organising our own seminars and raising our own funding to engage with the broader community on topics of interest such as our Wills Clinic, and many other public events that are on the cards Alhamdulillaah. 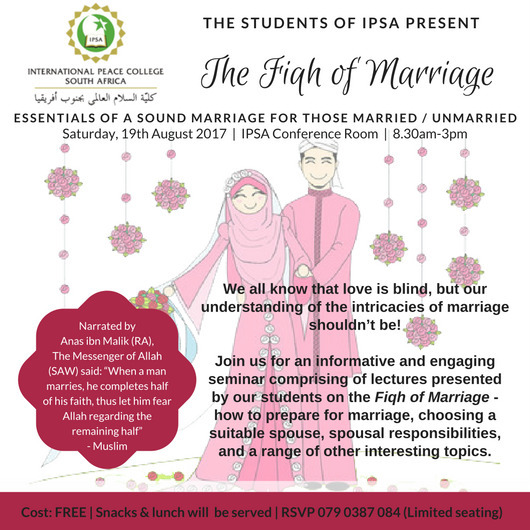 Next Saturday, 19 August 2017, our BA second year students have organised a Seminar - the Fiqh of Marriage. Alhamdulillah this Seminar has been completely student-led from planning and organising to procuring sponsors; handing out certification which in turn creates good inter-class relations. 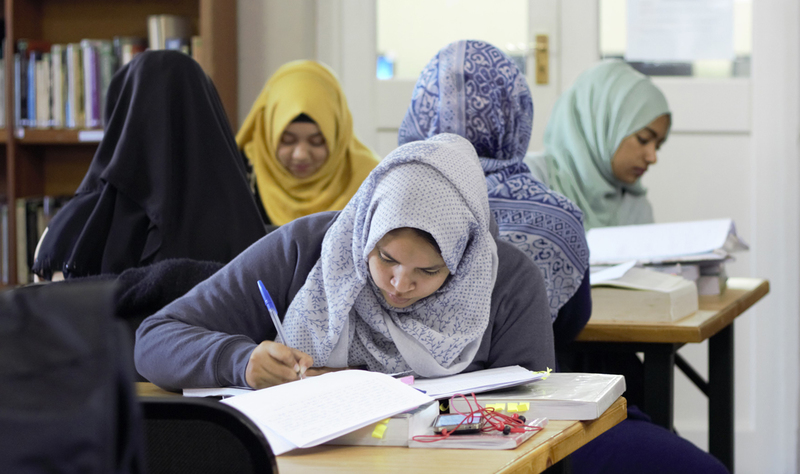 The subject of Muslim Personal Law for this class is taught by Shaykh Dawood Terblanche who nurtures and supports us students on our learning trajectories to serve the community as future 'Alims and 'Alimahs; teachers; Imams and Thought Leaders. We only have 20 seats available so we depend on you contacting us to répondez s'il vous plaît which is the French expression for RSVP (please respond). Regretfully our conference room only accommodates for 100 people and 80 people have confirmed their attendance. Have a look at our poster (which mind-you we designed ourselves) for details. 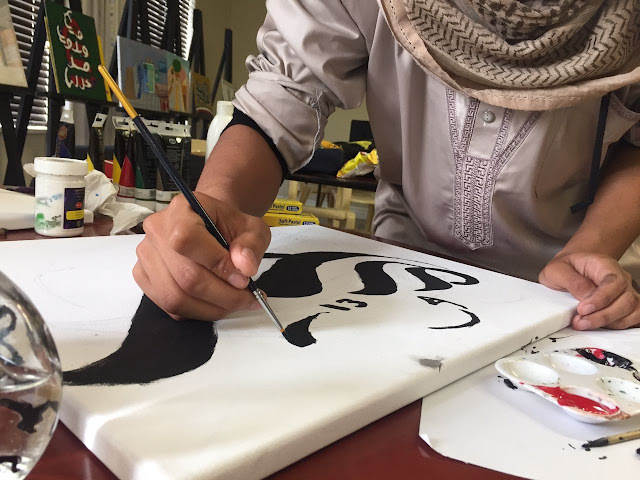 And keep on reading our blog for updates from the rest of our classes who are engaging to give back to the community what they learnt right here at IPSA. ps. we have a boerewors sale on next Tuesday why don't you pop around and come and support us minfadhlik. Indeed, Allah is in the heart of every true believer. Have an awesome Women's Day!! !